If it wasn’t for Fixrunner I don’t know how I would have gotten my website back up after it crashed due to malware issues. Luckily I was able to get a hold of Sam and his wonderful team at Fixrunner to resolve the problem immediately. The site was up and running within a couple of hours! They really helped me get out of a jam! How do I know the malware has been removed? We will show you scan results of one of the tools we use to show you that website is cleaned . Do you clean websites that are not built WordPress? Do you secure the website after the cleanup? How fast will you fix my issue? Most of the issues we fix are done within 4-6 hours and up to 24 hours depending on volume of requests we have and how complex is your malware, but contact us and you will get fast reply. What would I do without the Fixrunner support?! I cannot explain how happy I am now that I found this service! The entire team is utterly amazing. They were always there to fix any issues I encountered, do the updates, clean all the malware, anything that I needed! I would have lost my business by now if it wasn’t for them. It’s necessary to use the Fixrunner if you have an online business. I was stuck, but Sam and his team came to my rescue. If you need a trustworthy WordPress help, these guys will always have your back! I called them and explained that my website had a minor error when used in Firefox. I had been trying to resolve that issue for an hour with no luck. Since I was busy with other projects, I decided to give these guys a shot 20 minutes later it was fixed. Thank you, guys. I found FixRunner when trying to figure out how to get my website back up. First I tried to get it fixed by hiring a developer who made the website for me a couple of months back. The ongoing issues caused me to lose thousands in sales, each week. I will never hire amateurs again. As soon as I got in touch with Sam from the Fixrunner team, he explained to me what the problem is, and started solving it right away. Only after fixing it I paid and immediately subscribed for the Advanced plan. It is an excellent feeling knowing that I have a team of pros that can help me whenever I get stuck. For $150/mo it is well worth the price. I worked with Sam on getting my domain redirected and along the way we encountered a couple of more issues that needed to get fixed. He was very patient with me, made sure I knew what was going on every step of the way! He solved everything promptly. I was delighted with the result and how attentive he was during the whole process. I’m super excited to use this service moving forward, and I already have a quick fix coming up, but I don’t need to stress about doing it on my own.! Not sure your website is hacked? If you are facing malware infection in your WordPress site, you may be in a panic, and we understand that. All your data, content, site ranking, and hard work are at risk. With our WordPress malware removal Service, however, you have no need for panic. FixRunner security experts have years of malware removal experience under their belt. When you request our service, we spring into action to ensure your site and database are completely free of all malware, your data is safe, you do not lose your site ranking and traffic, and your site security is hardened to prevent future attacks. Request our WordPress malware removal service now and put your mind at ease. Our WordPress Malware Removal Service gets your site back to 100% health. We clean up and restore your site such that you can pick up where you left and continue your business. Malware Removal: We scan your entire site and database to ensure all malware is deleted, and all infected and vulnerable files are replaced with fresh, secure copies. Data Security: We work to ensure you do not lose any data so you can simply continue your business. WordPress Security: We harden your site security to make it able to resist and fend off future attacks on its own. Site Rankings and Traffic: Our experts will make sure you don’t lose your rankings and traffic. If your site has been flagged by search engines, we ensure that it is resolved and that your website is once again considered safe. Google Malware Warning Removal: If your website is getting a message like “this site ahead contains malware” or its marked unsafe by browsers. Our experts can take care of that and remove website malware warning from Google search for you. If your site is infected, request our WordPress Malware Removal Service now. Waiting for any longer could lead to more damage. Here are some resources that can help you ensure your site is secure both from malware and data loss. There are plugins that can help you remove malware from your site, including WordFence, Sucuri, and iThemes security. You can learn more about these WordPress malware removal plugins by reading this article. WordPress has vulnerabilities that hackers can exploit. You can plug those vulnerabilities to make your site resistant to hacks and malware. Our WordPress Security Guide takes you through the steps. Some hackers want their programs to run without you knowing. However, there are certain site behaviors that can alert you to malware infection. 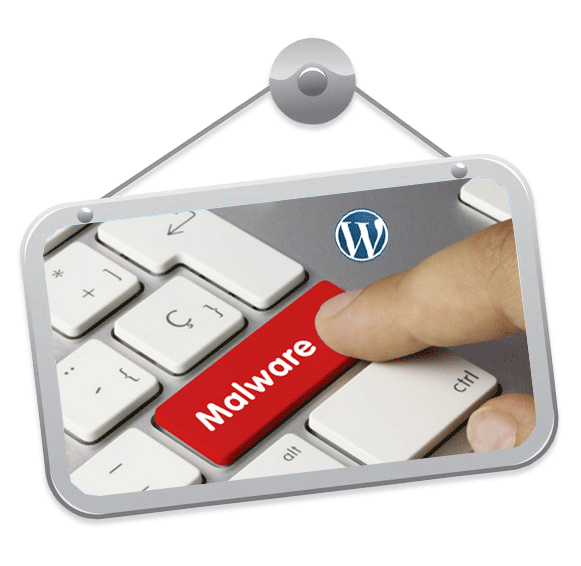 Our Signs of Malware Infection in WordPress guide helps you to know when your site is hacked or infected. Learn how to remove malware from your WordPress site. This guide can help you attempt to do it yourself. Please take necessary precautions to avoid data loss, including ensuring you have a recent backup. You can read our WordPress Malware removal guide and implement the steps therein. If you have questions or need help, indicate this in the comments under that guide and one of our experts will help you out. Note however that we do not “recommend” you clean your site yourself if it has been hacked or infected with malware. While this may work for some with technical knowledge, others may end up doing more harm than good. In some cases, a hacker would hijack your admin account and lock you out. Learn what to do when you cannot login to your admin dashboard using your details (read the “Reset password with PhpMyAdmin” section). One of the best ways to secure your WordPress website is by running regular backups of your content and database. That way, if something goes wrong, you can restore your site to a recent version. Learn how to perform WordPress backup and restore data. Or feel free to contact us and we will help you.